Engine/Moteur. 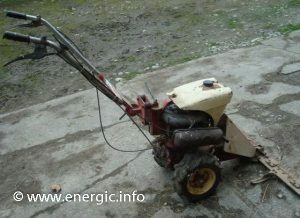 ILO Single cylinder 73cm3, 3cv, 2 stroke. (as 77L motoculteur). 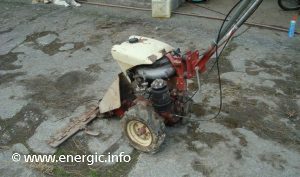 Energic Motofaucheuse ILO Single cylinder. Energic Motofaucheuse Etoile ILO moteur oil filler position. Steering. Handle bars, which are regularable for height and lateral movement. Box of transmission/Carter de transmission. Consists of 2 pieces. Firstly main section in bronze and secondly the box for the lateral blade/lame which is attached by clips see below. 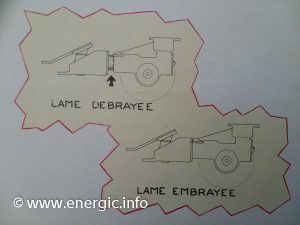 Energic Motofaucheuse Etoile ILO moteur Lame De/embrayee. 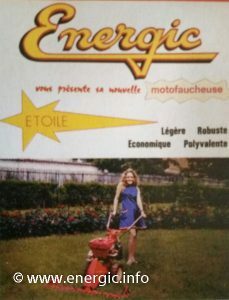 Energic Motofaucheuse at agricultural shows. 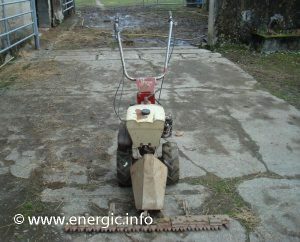 Read more about Energic attending Agricultural shows here. Anti-Vibration. There was a new system of anti-vibration dampener in place under the handlebars to minimize the vibration level in operation. Oils Recommended. 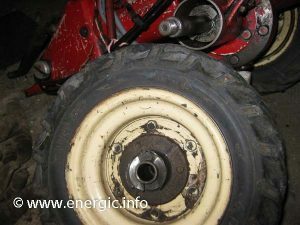 BP oil tracteur universal S1 10 w 30. With the first oil change being at 5 hours operation and after that every 20 hours. 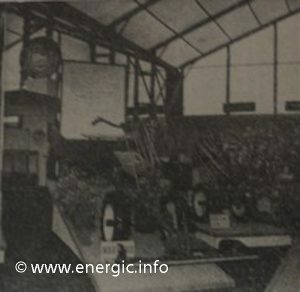 Read more about Energic ILO moteurs here.